Office Location: Boston, MA. Employees can also work full time from this office. 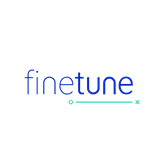 FineTune is seeking a full stack developer with strong hands on experience on python, pytest, docker, database performance and microservices. S/he must have experience working with at least 3 production released software projects/products that they have deployed on AWS or Google Cloud and working for at least 10 years releasing production quality software. S/he should be hands on tech and comfortable solving complex system problems while making sure software team understands clearly what they are building, while refactoring/architecting new and existing services to scale to support 5 million users. A big plus if the developer has strong reactjs/redux, axios, graphql also. S/he should also be comfortable interacting with customer and provide guidance on the technical feasibility and scope of engineering/rearchitecting needed to solve problems and deliver features. Full stack developer will also work with QA team to find best ways to increase the performance of the development team and enhance software quality and development speed. S/he will interface with CTO to continuously drive innovation and new product development while promoting and advancing the scalability and modularization of current platform we are working on with Collegeboard. S/he will be essential member of the leadership team to drive company vision and mission while scaling the software for larger audience. Want to get notified about new jobs at FineTune Learning?